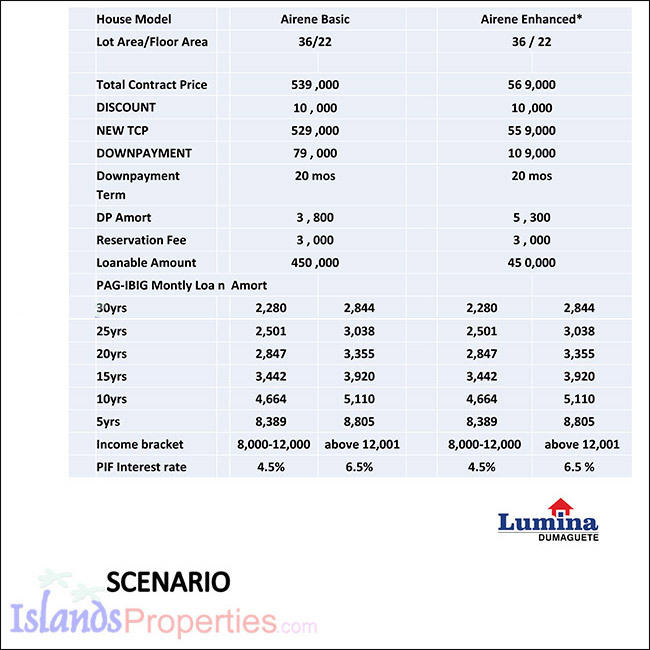 Lumina Homes is an affordable residential subdivision which caters to the socialized housing segment that largely includes minimum wage earners. Min. 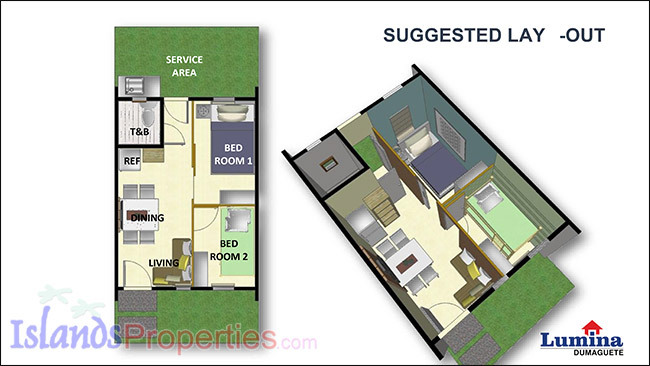 lot area: 36 sq.m. Min. lot area: 45 sq.m. 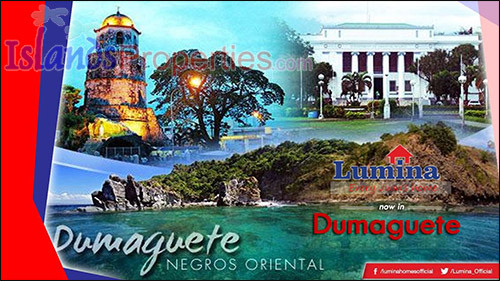 OTHER INFORMATION Also available Lumina Dumaguete Townhouses for Sale. Here's the Sample Computation through PAG-IBIG. 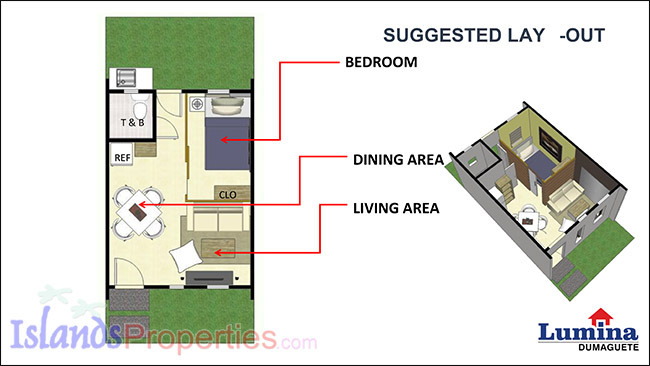 NEW, CODE, HOUSE AND LOT, GATED, LOWCOST, NEG. OR.